Have you ever walked into an organization and just got that “hmmm, something just doesn’t feel right” feeling? I know I have (more times than I’d like to count). Many of us know from the first time we enter into an organization, whether as an employee or a consultant, that what they say is not what we see – or feel. It’s the ever-so-important “gut check” we shouldn’t ignore. So, what are some things that trigger your culture gut check? We realize it is probably because of many different factors, however, we were intrigued that more people are not interested in how to create a high performance culture. Perhaps they just don’t notice what a negative impact poor culture can have? Regardless, building a successful business requires more than just saying you have a good culture, it requires creating and espousing the traits of a high performance culture so employees, vendors, and stakeholders can see you “mean what you say” – a culture that is open, honest, trusting, transparent and engaging. So what makes a high performing culture? High level – we’ll offer a few qualities that may trigger your “gut check,” and a few that make for a high performing culture. So how do you create a positive and high performing culture? For starters, check out our white paper on the topic titled: What is a High Performance Culture? Creating a culture that supports long term growth and sustainability. 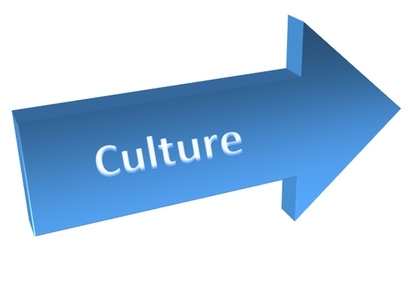 Short answer – develop and excel in the “high performing culture” qualities listed above. You can get started in three steps. The first step in creating a high performing culture is defining your direction. An organization cannot achieve a high performing culture without having a clearly defined direction – a detailed strategy, including a clear mission and a defined vision statement. The strategy should help determine who you want to be, where you want to go, and how to chart the course to help you get there. The strategy should answer several imperatives, including but not limited to: what can we do best? Do we have flexible processes and structures in place to support execution of our mission? What motivates our people the most and how do we provide that to them? What is essential for our financial stability? And how do we exceed customer expectations and define and measure success? The next step to achieve a high performing culture is communication — frequent, transparent, and authentic communication amongst leadership, employees, stakeholders, and customers is a necessity. To keep audiences engaged in your products and services, and committed to the organizations’ strategy, mission and vision, they need to know what is going on and why (within reason). If you want to create a high performing culture, it is not enough simply to communicate; methods for receiving and acting on feedback received from target audiences must also be developed. Develop communication plans and processes to ensure that all audiences (internal and external) are reached with the content vehicles and frequencies appropriate for them to remain interested and engaged. The third step in achieving a high performing culture: always focus on the people. We’ve said this before, and we think it so important we’ll say it again, because organizations can’t exist without people. People make the difference in every business. To achieve a high performing culture, you must recruit, engage, and retain the right people for your culture. Many things bring employees through the front door, but bad work environments drive them out. To not drive them out, you need to build a highly engaged and committed workforce. Let employees know they and their ideas are valued and that they work in a culture where their voices can be heard. Creating this type of environment increases employee motivation and retention and reduces employee turnover. This type of positive environment helps people reach higher levels of productivity. Success depends on knowing and understanding your workforce and valuing each employee’s satisfaction, motivation, well-being, and development. People are the company. High performing organizations recognize and embrace this fact. Here’s hoping that most of you desire to be part of a high performing culture – and strive to create and maintain an organization where people really want to work! What triggers your “gut check?” What qualities or strategies do you think make the difference between a poor culture, and a high performing culture?